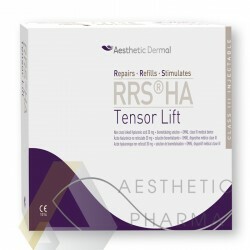 Specially formulated for ageing skin around the eyes. RRS® HA Eyes is specially formulated for ageing skin around the eyes, since the biorevitalizing filler effect of Hyaluronic Acid is assisted by a specific biorevitalisation solution. The effects of non cross linked Hyaluronic Acid on wrinkles are enhanced by a specific biorevitalisation solution containing vitamins, antioxidants, microcirculatory and blending/bleaching actives. RRS® HA Eyes is a powerful tool for doctors who need high quality, CE Class III injectable products which are highly effective and safe. 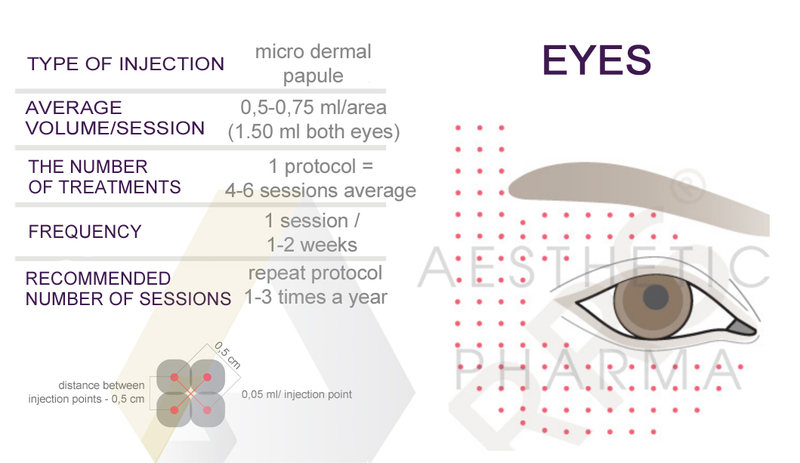 Average volume/session: 0,75 ml area / 1.50 ml both eyes. Type of injection: micro dermal papule. Frequency: 1 session / 2 weeks (1 protocol = 4 sessions average). Recommended number of sessions: repeat protocol 1-3 times a year. Lasers: RRS® injection can be done immediately before. The price is for 1 vial with 1,5 ml of the preparation. The whole package contains 12 vials with 1,5 ml of the preparation each.